If you already understand how gap insurance works and are ready to purchase it for your vehicle in Providence or East Greenwich, the next step is to ask yourself “where can I buy gap insurance?” Check out our guide to gap insurance purchasing at Mercedes-Benz of Warwick and contact us if you have any questions. From the dealership. When you purchase a new vehicle at your local dealership, they may offer gap insurance included as part of the auto loan when you set up financing. Contact your local finance center to explore your options. From your auto insurance company. Many auto insurance agents offer gap insurance along with their regular services–it may also be called loan/lease coverage. Go over your car insurance plan and contact your car insurance company to find out if that is an option for you–some companies might even have it built into their normal plans, so you may already be covered. From an online insurance company that specializes in gap insurance. These plans sometimes offer more flexibility to drivers who want to option to cancel at any time that gap insurance is no longer necessary. From the dealership: at the time of purchase. If you are leasing with your dealership, this coverage may already be included in the lease contract. From your insurance company: within 30 days of purchase. If you already have gap insurance and happen to switch insurance carriers after the 30-day cutoff, many companies will honor the gap insurance coverage. From an online insurance company that specializes in gap insurance. These companies are usually more flexible in their timelines of when you can purchase it. If you’ve waited a while after buying your car and are considering gap insurance, you may want to calculate the current cash value of your car using the NADA guides tool and compare it to your loan balance to see if this type of insurance is worth it. 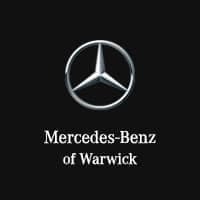 If you’ve found a vehicle to take home to Cranston, apply for financing at Mercedes-Benz of Warwick to get the process started before coming in for a test drive. Our experts can help you explore all your options and help you get a great deal.